Shipping is a litigious industry. 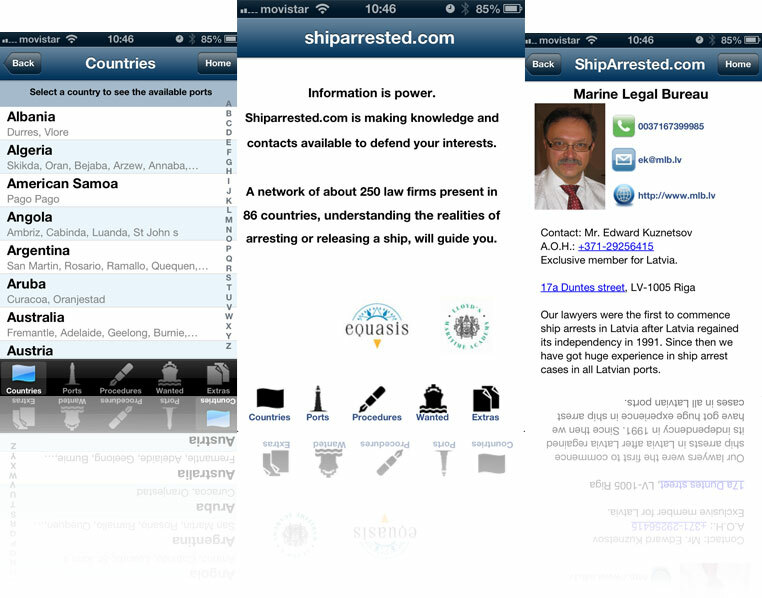 The App of shiparrested.com guides you into all options to secure your claim or interest by a well-informed system aimed at facilitating the steps to your ship arrest / release worldwide. The ShipArrested App enables readers to access all the necessary information to handle easily a ship arrest anywhere on the globe. The ShipArrested network is based on lawyers well known within the community to understand the commercial realities of the ship arrest business.